The BlackBerry Q10 will go on sale in the UK on April 26, according to online reports. 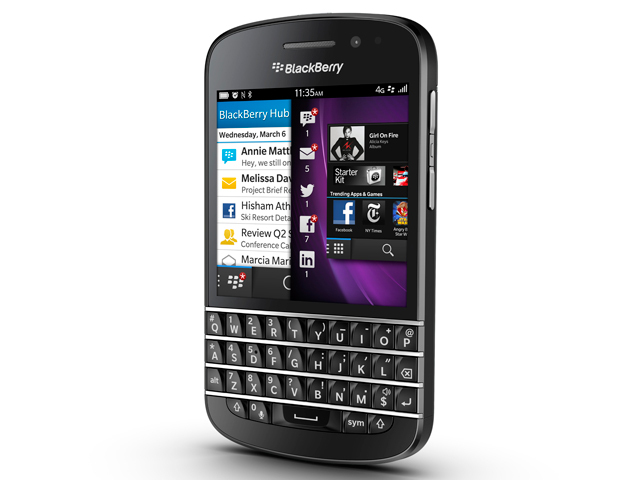 has both a full QWERTY keyboard and 3.1-inch touchscreen – the first BB10 smartphone to do so. It also has an eight-megapixel camera and expandable memory of up to 32GB with a microSD card. It was unveiled alongside the Z10 at a global launch event in the US on January 30. The latter of the two – the first device from BlackBerry to run its new platform – went on sale in the UK the following day.